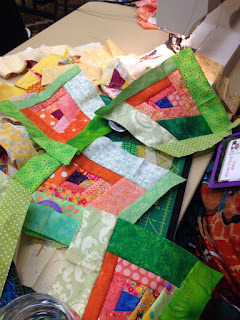 Scraps were flying in my Wonky Rose Garden Class. Oh and were they pretty scraps. I just love scraps! It was fun to watch the ladies share and trade scraps. I wished I had brought a few to trade. There were a few I really wanted to add to my collection. Not that I need more scraps. But they are a weakness of mine. All that wonderful scrap trading created these beautiful roses. I hope I get to see all the lovely quilts when they are done. There are definitely going to be some beautiful rose gardens. 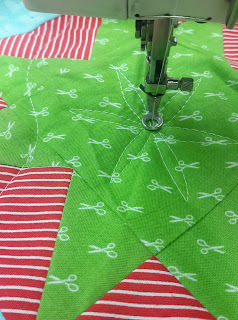 When I wasn't busy with Quilt Fest I started a little free motion quilting on my Twinkle quilt. Now it's your turn to share your progress. Ohhhh I like what you are doing with Twinkle. 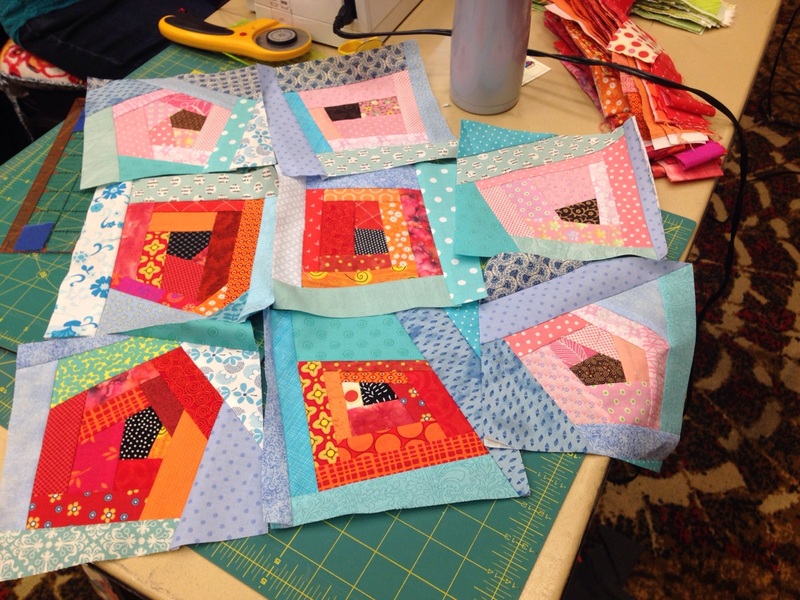 Nothing like a quilt design that helps you use up scraps! Your FMQ looks wonderful! I need to start practicing and learning for myself.